Tennis Plans for 2019/202 Now on Sale! 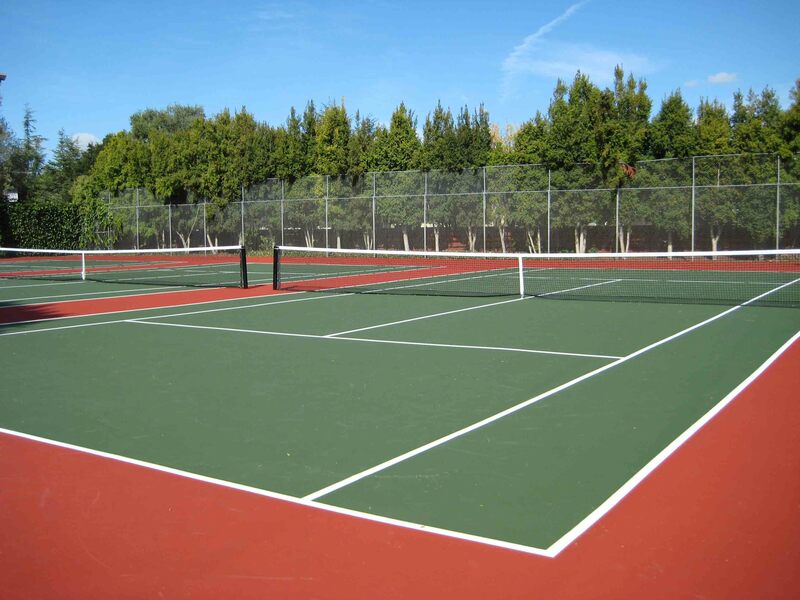 Glenmoor Gardens residents and their guests can use the tennis courts by purchasing an annual tennis plan. A tennis plans allows residents to use the tennis courts at either Meyer or Alta Parks year round. Tennis plans start July 1 and run through June 30th of the following year. If you are purchasing a new tennis plan, please come by the office starting March 21st to purchase a plan and pick up a key. If you are renewing an existing plan, we recommend you stop by the office beginning the last week in June to renew your plan and exchange your tennis key. Please note new tennis plan holders will also need to leave a refundable key deposit when picking up your tennis key. Non-Glenmoor residents can also purchase a plan to use the tennis courts. Please contact the homeowner's office at 510-797-7600 for more information. Tennis lessons, classes, and camps are also offered through Euro School of Tennis at the Alta courts. Tennis players please be aware Euro School of Tennis' Summer 2015 tennis class schedule at Alta. In June and July 2015 during the times listed below Euro Tennis will be holding classes on 1 or 2 courts - at least one court will always be open for Glenmoor Homeowners. Remember to keep the gate closed and locked (especially when you leave). Only those with tennis keys are allowed to use the courts. Please do not permit any activity but tennis on the courts. Skateboarding or any type of skating is not allowed on the courts because these activities damage them. Remove all your liter especially those sharp lids found on tennis cans. Please also respect the residents living near the tennis courts and observe the hours listed above. Interested in tennis but need a lesson or two?? EURO SCHOOL OF TENNIS offers a variety of tennis programs for children and adults of all ages at the Alta Tennis Courts. Euro School of Tennis creates a positive environment for learning, playing, and most importantly having fun. Their program promotes an active healthy lifestyle that individuals can incorporate into their daily lifestyle. Weekend and weekday tennis clinics are starting every month. For more information go to www.EuroSchoolofTennis.com or call 510-491-3007.